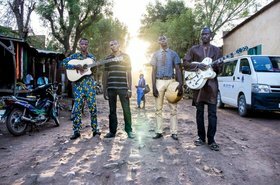 Songhoy Blues are four talented, hungry, sharp and outward-looking young men from a part of the world that has had more than it’s share and pain and conflict in recent years. But it has given far more than its share of music and joy to the world in return over the past four decades. That place may seem strange, alien and ‘exotic’ to some but deep down, Songhoy Blues are a familiar proposition: four young men, guitar, drums, bass and vocals, driving rhythms, big hearts and a story to tell. Through their music bears elements of contemporary rock and hip hop, at its heart is Songhoy Blues, deep attachment to the homegrown songs and dances of Mali. 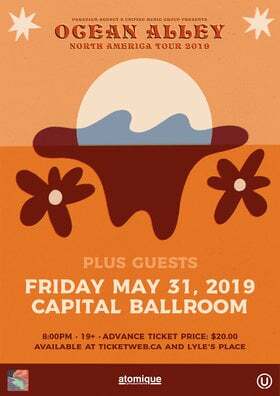 Songs like “Irganda” and “Al Hassidid Terei” see Songhoy Blues blending the traditional and the modern, the homegrown and the foreign, the youthful and the ancient.